Reidar’s Manufacturing builds nets, dredges, and other gear essential to the industry. Like many shoreside businesses, Reidar’s Manufacturing is family owned and operated. Reidar Bendiksen fished for over 25 years before coming ashore to open the gear shop in the mid-1980s. Today sons Tor and Hans work alongside their father, and wife Kirsten manages the office. 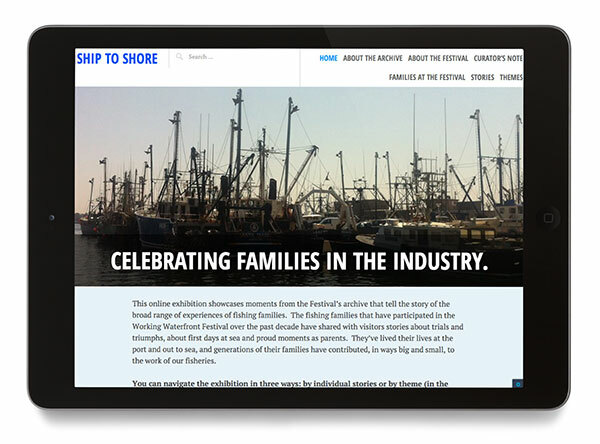 This exhibit showcases moments from the Working Waterfront Festival’s archive that tell the story of the broad range of experiences of fishing families. There are stories about trials and triumphs, about first days at sea and proud moments as parents. They’ve lived their lives at the port and out to sea, and generations of their families have contributed, in ways big and small, to the work of our fisheries.